At this time of year it’s good to have at hand those old faithful heroes that we can rely on to be there when we need them. Everyone has the standard headache tablets, bandages, and safety pins squirreled away somewhere in the bathroom cabinet but I have a few extra products less well stocked and far more useful. 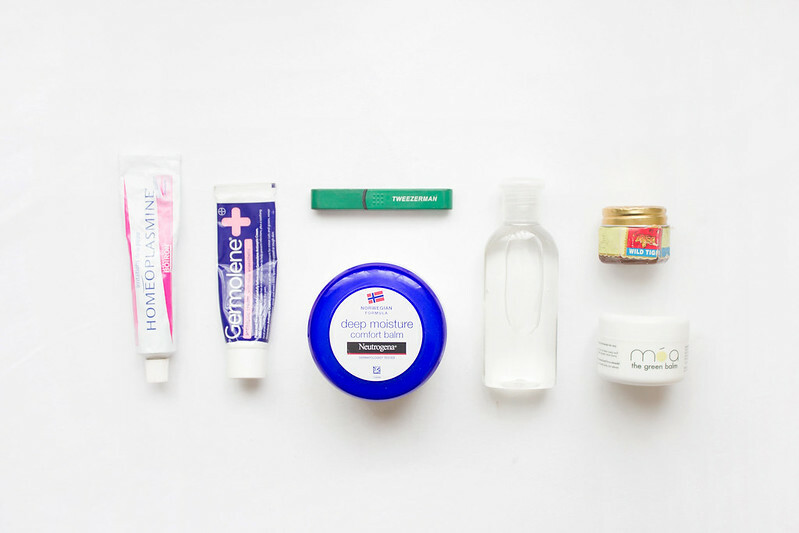 My reliable heroes are kept in the bottom drawer of my beauty cabinet; I’ve got everything to fix chapped lips, grazed knees, sore backs, rough hands, and splinters. Some of them are old favourites who have been passed down from mother to daughter and who have been fixing things for me since I can remember, but there are also a few new saviours who I have grown to treasure. Germolene and a good pair of tweezers can fix everything from grazed knees to splinters, while antibacterial sanitizer comes in useful wherever it gets taken; taking care of dirty hands when all they want to do is touch. Norwegian Formula Comfort Balm soothes chapped and dry skin especially in wintertime when the wind becomes awfully mean, while Homeoplasmine takes care of tender mouths. Tiger Balm soothes those aches and pains while Moa the Green Balm takes care of all sorts of things, from scrapes and bruises to angry faces. i am so keen to try homeoplasmine! i can't believe it's taken me so long to order it. i recently fell in love with karameju's "calm balm" -- you should check out that line if you're interested, it's really amazing. also, thank you for the body wash recommendation a few weeks back. i went with korres in the fig scent. loving it! Homeoplasmine is so amazing! I keep it nearby at all times to soothe chapped lips, rub into my cuticles, moisturize dry spots. Oh I love it so much!